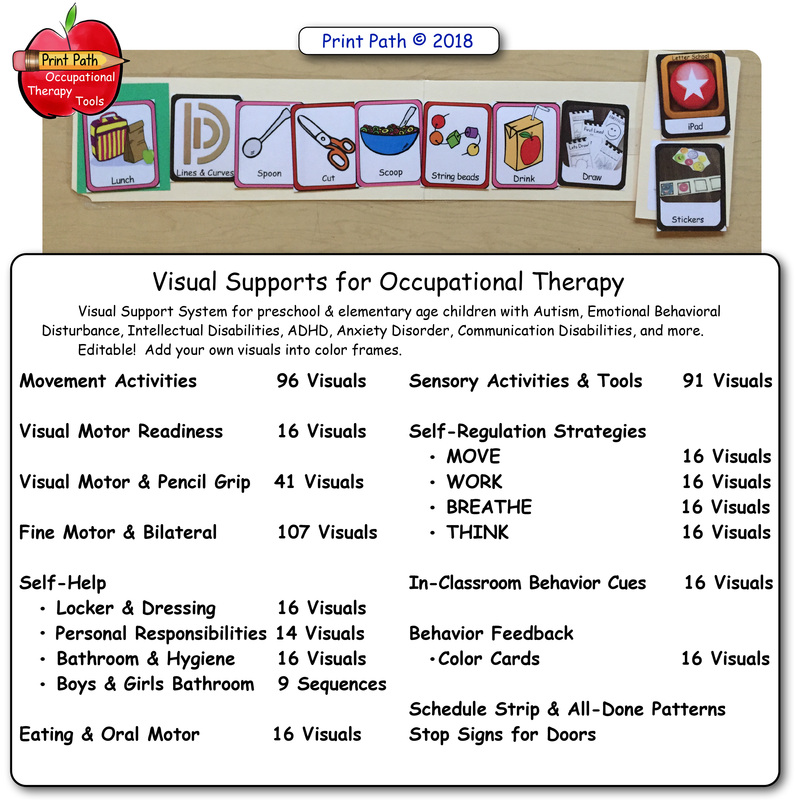 Visual Supports for Occupational Therapy can be an extremely helpful tool that almost magically improves engagement and ensures that your treatment sessions are effective. 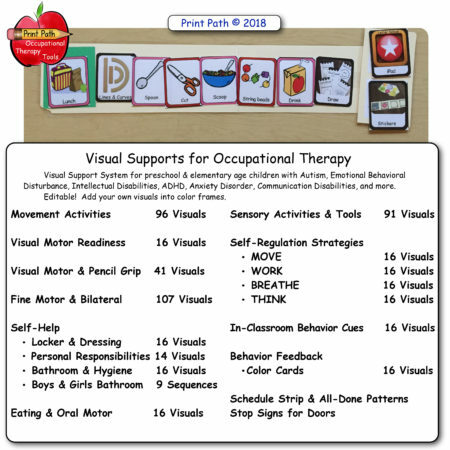 Visual supports for Occupational Therapy include task cards to be used for a variety of settings including clinic, itinerant, and classroom situations. 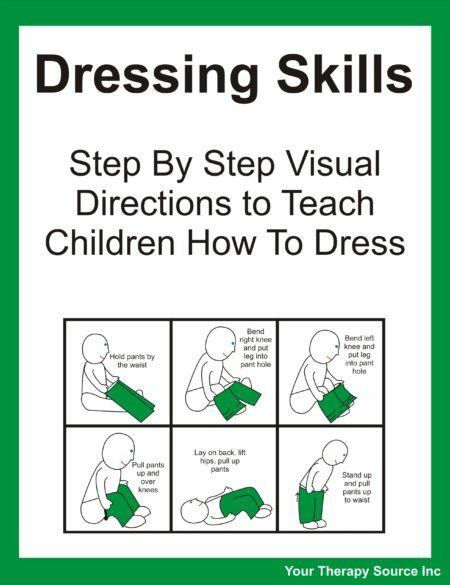 Do you work with preschool or elementary age children who are non-compliant, non-verbal, or have difficulty with attention? It can be difficult to create the structure and flexibility one needs to make sure every treatment session is joyful and productive. 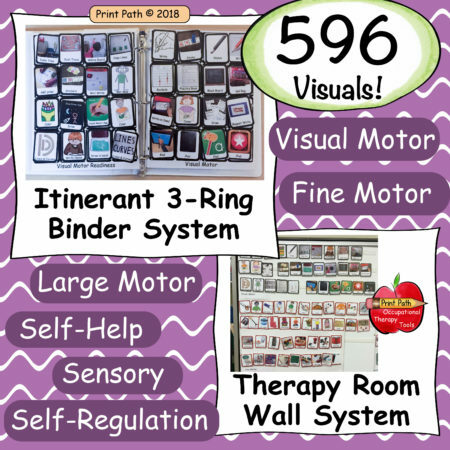 Thia Triggs, school-based Occupational Therapist created Visual Supports for Occupational Therapy and has used this system with countless children who have Autism, Emotional Behavioral Disturbance, Intellectual Disabilities, ADHD, Anxiety Disorder, Communication Disabilities, Oppositional Defiant Disorder, and more. 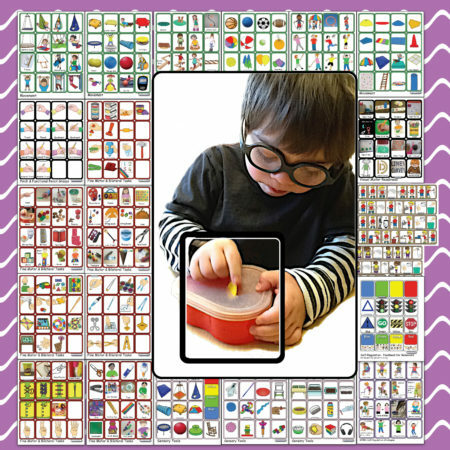 These children, who typically are not yet fluent readers, can often follow personal picture prompts with greater ease and independence than they can respond to verbal directions or even classroom visuals. 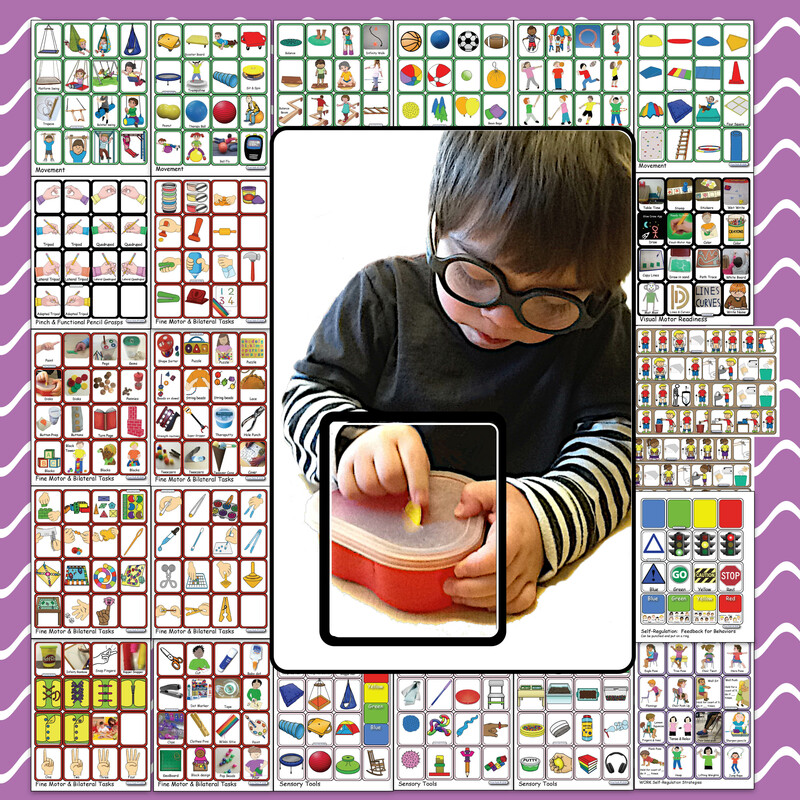 Task cards included in this resource have color-coded frames by area of treatment so that you can easily keep your visuals organized and easily find the individual treatment tasks you want to use. 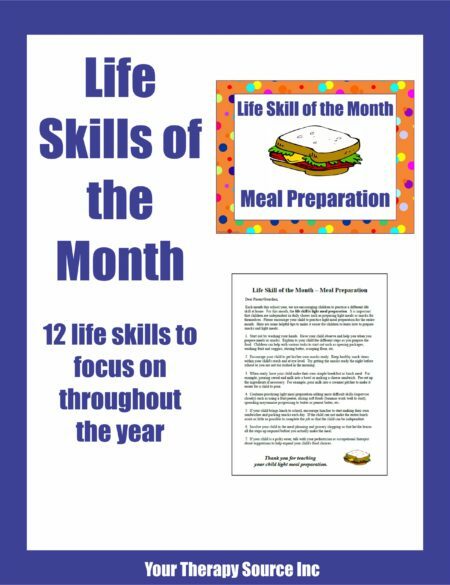 Both photos and clip art are used. 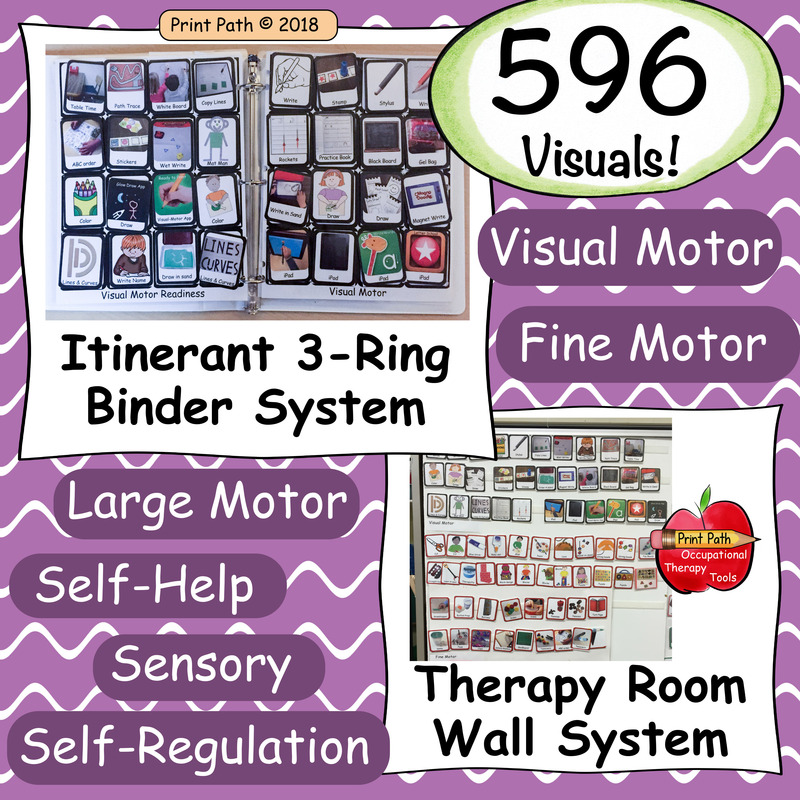 Have you tried to start a system for visual supports that has not worked? 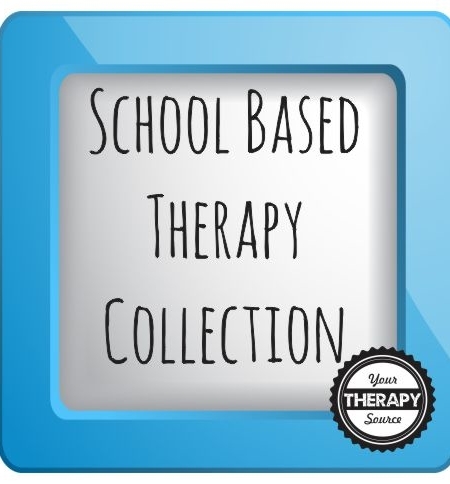 When working in schools where you only have a few pictures of treatment materials, sometimes you can just give up. If you do not have 90% of the pictures you need at hand for this session, or to plan the next session, then the system fails. You can always draw up a couple pictures on post-it notes, but if you are missing too many and are unable to put the time in to make a list of what you need and create those items, the system tanks. That is why the Visual Supports for Occupational Therapy include a wide range of treatment materials and activities. 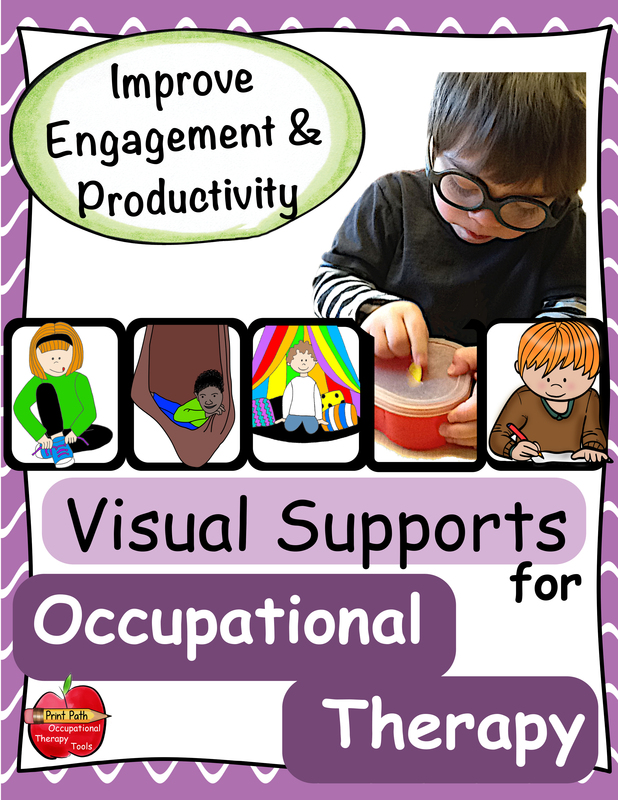 What does the Visual Supports for Occupational Therapy include? The electronic ZIP file will be delivered electronically immediately following payment. 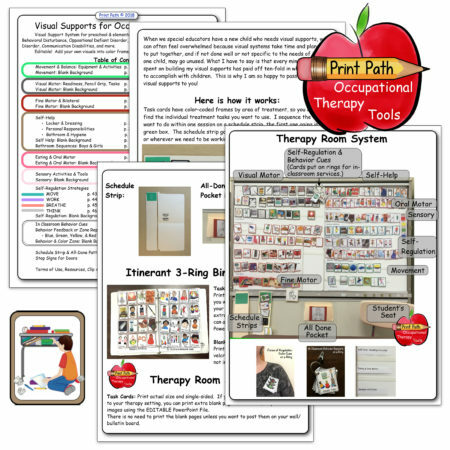 The Visual Supports for Occupational Therapy includes a ZIP file with a 62 page PDF digital document and a 16-page Powerpoint with blank color-coded cards for you to add your own visual supports.